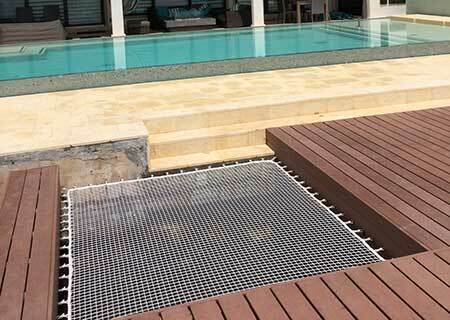 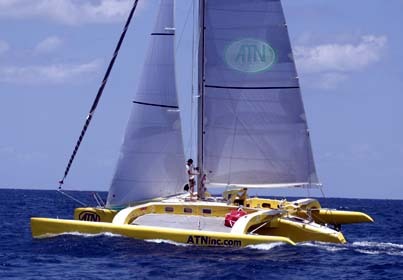 Call 1-800-874-3671 (US Only) or Email with dimensions, and ATN will send a quote. 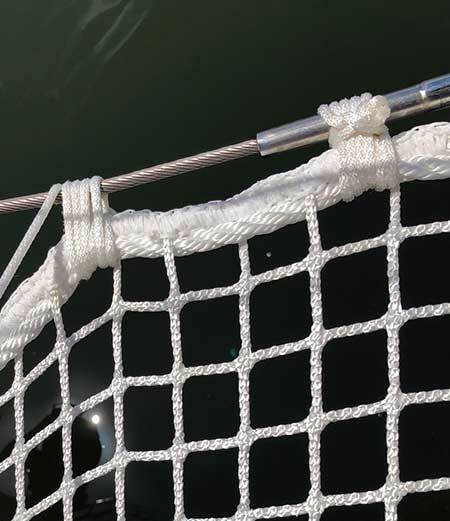 These nets are the real thing, initially designed and conceived for the French offshore trimarans like IDEC, Banque Populaire, and the ever growing Catamarans fleet; Lagoon, Soubise, OutreMer, Catana, Sunreef and Privilege, etc. 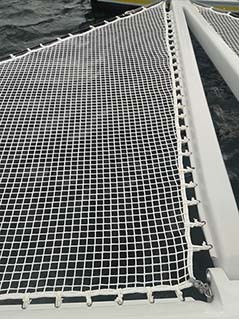 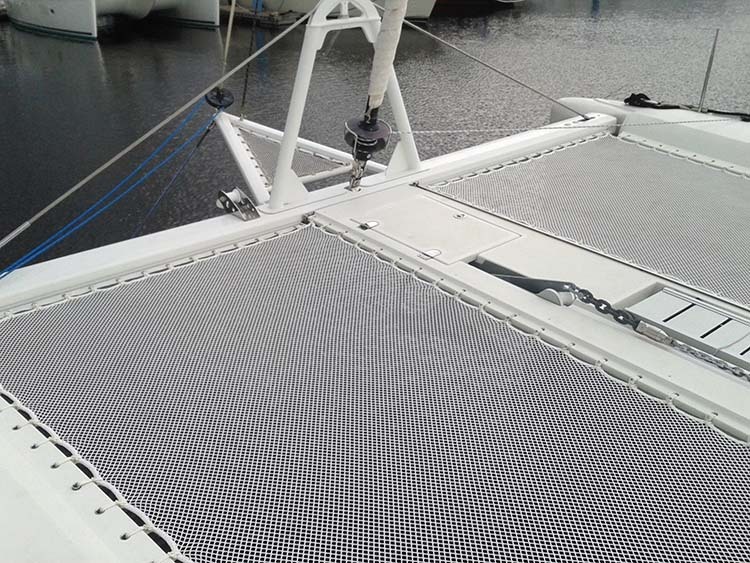 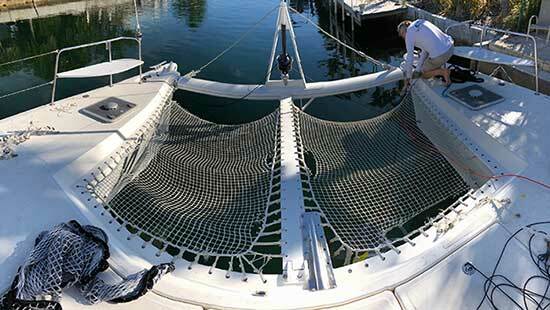 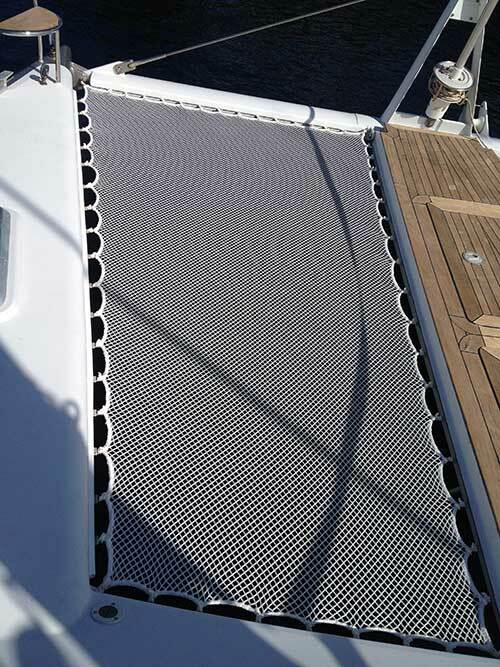 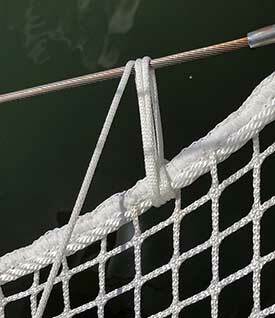 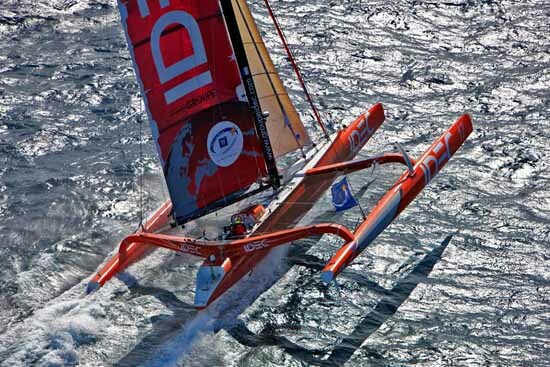 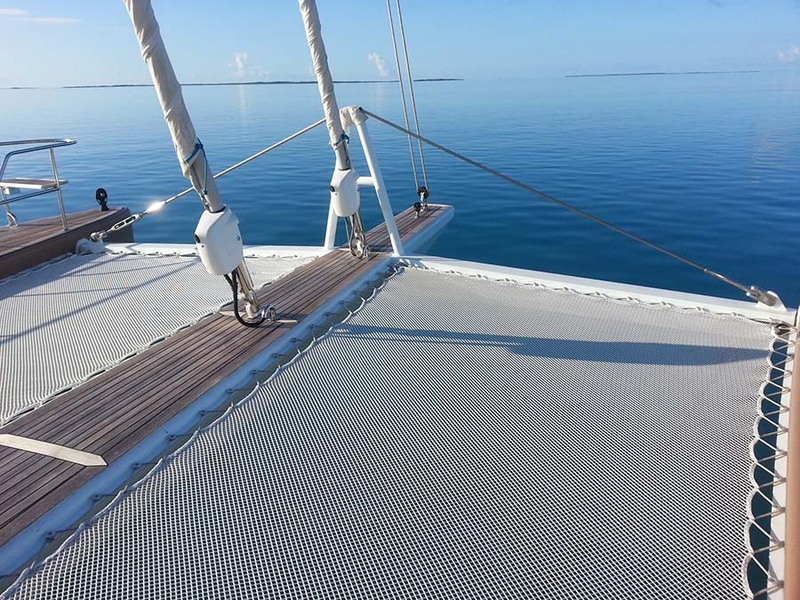 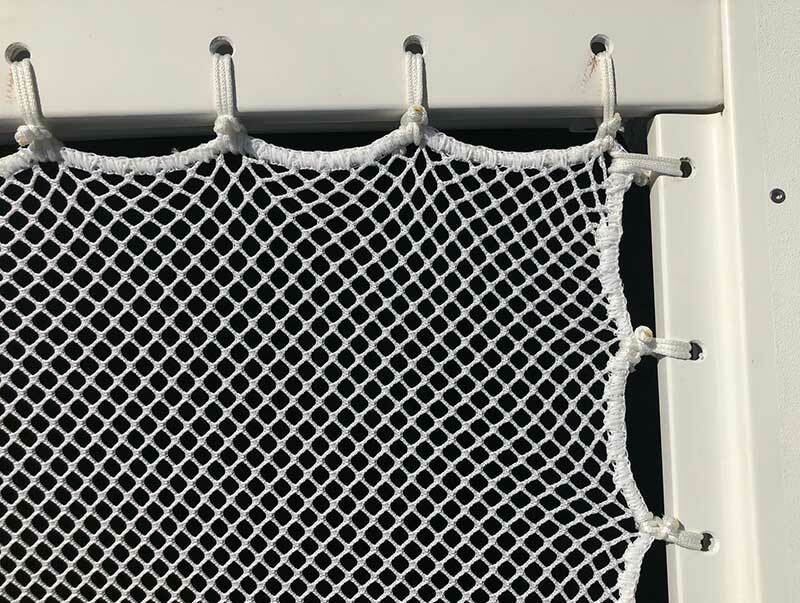 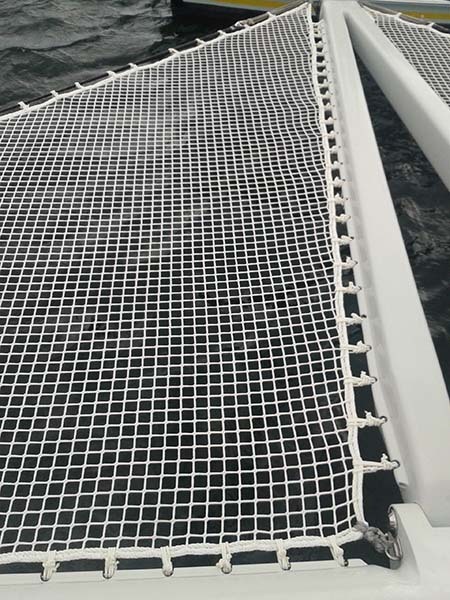 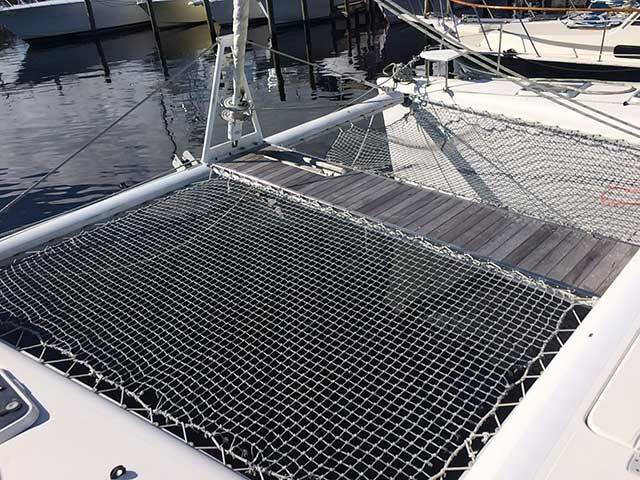 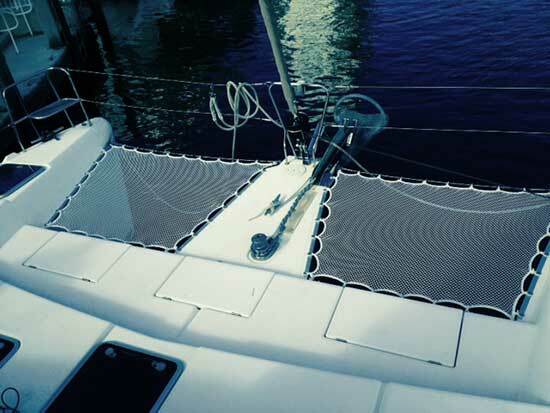 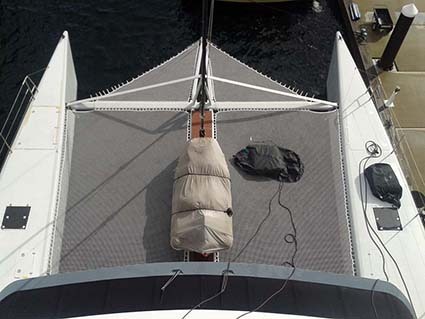 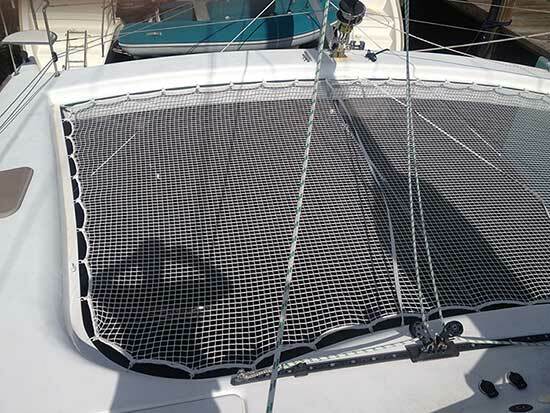 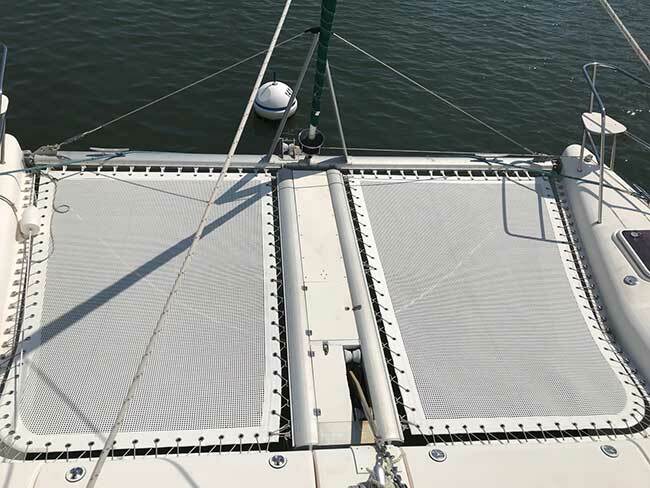 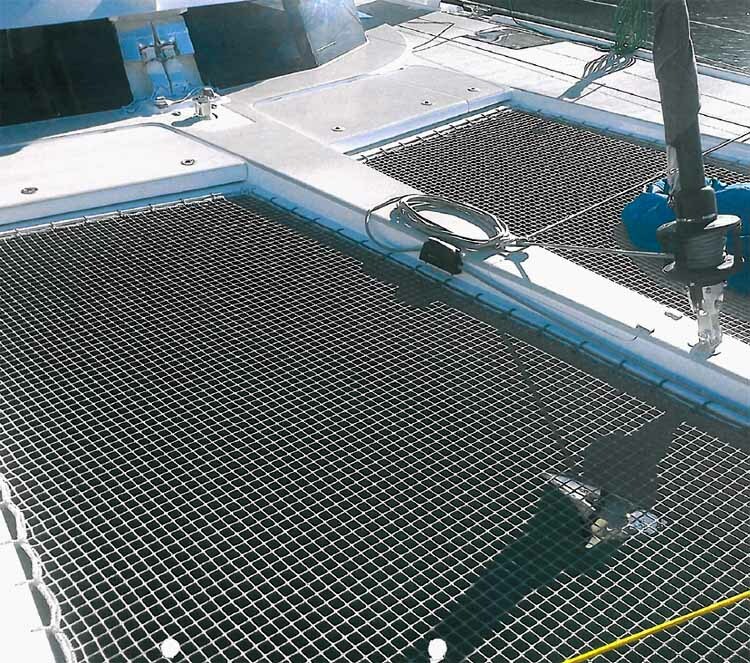 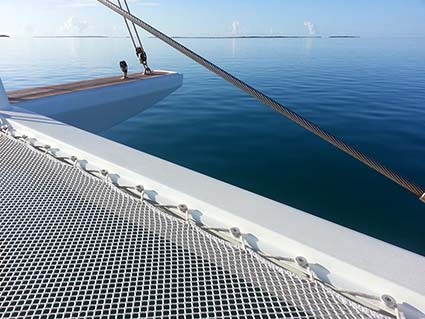 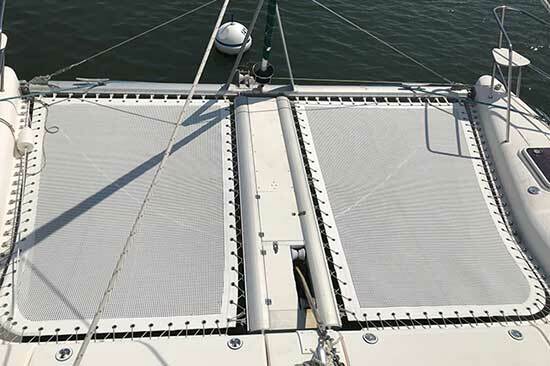 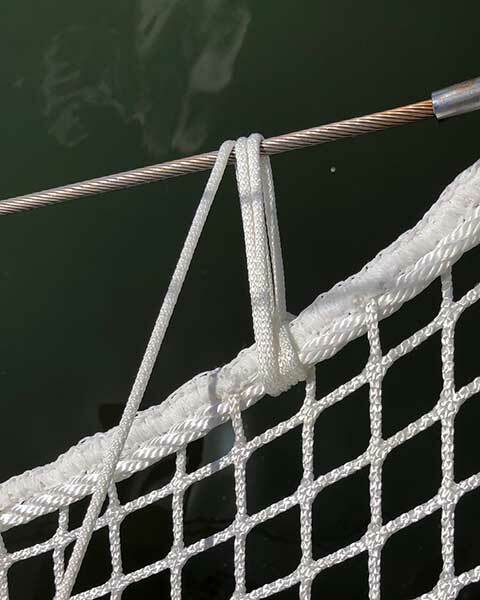 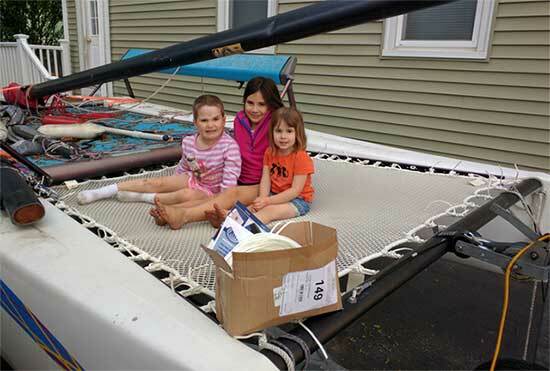 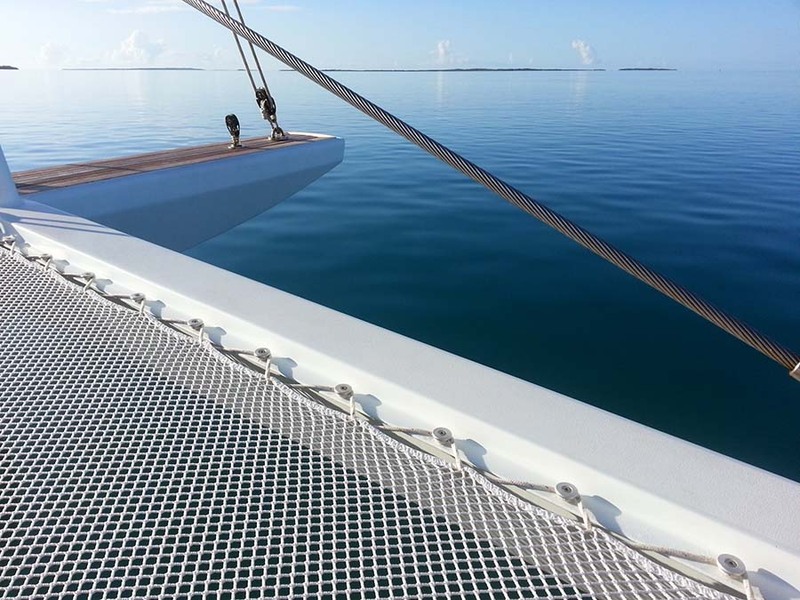 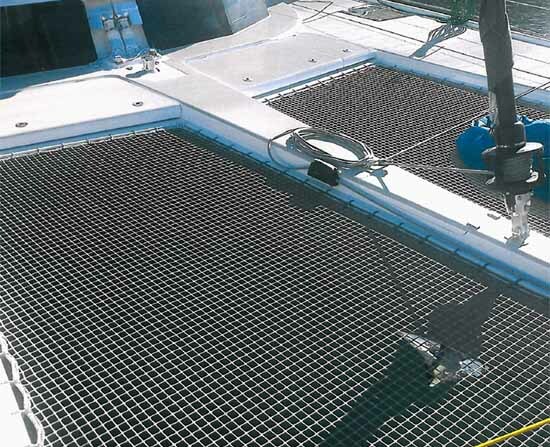 Dyneema trampoline net is used for America's Cup racing catamarans. 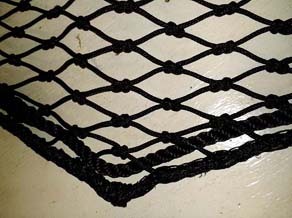 50mm Polyethylene knotted black or green: $90.00 / m2. 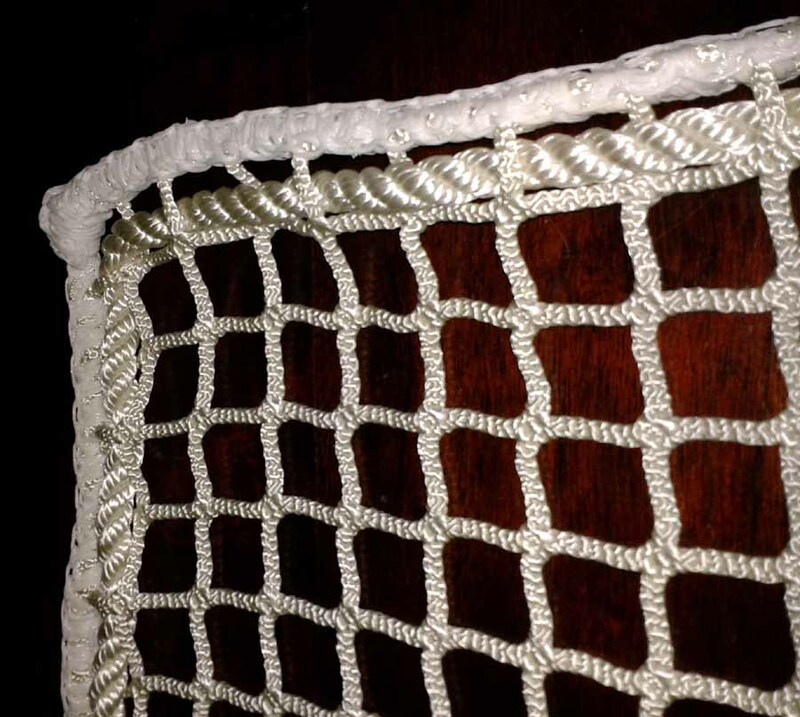 30mm Polyester white knitted : $85.00 / m2. 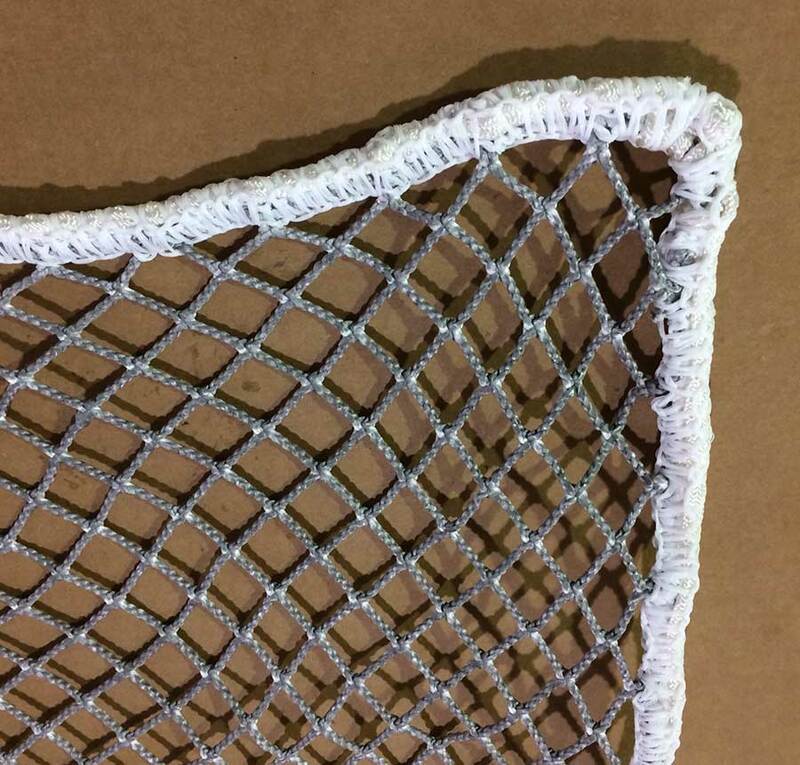 25mm Dyneema white knitted : $190.00 / m2. 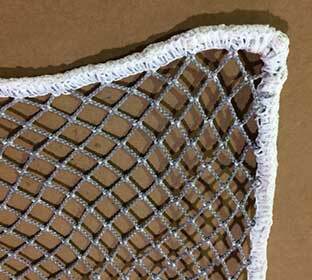 13mm Polyamide/Nylon white knitted : $110.00 / m2. Xtra Heavy Duty SuperTramp : $150.00 / m2. 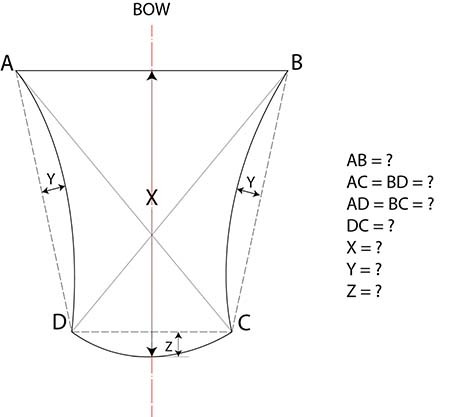 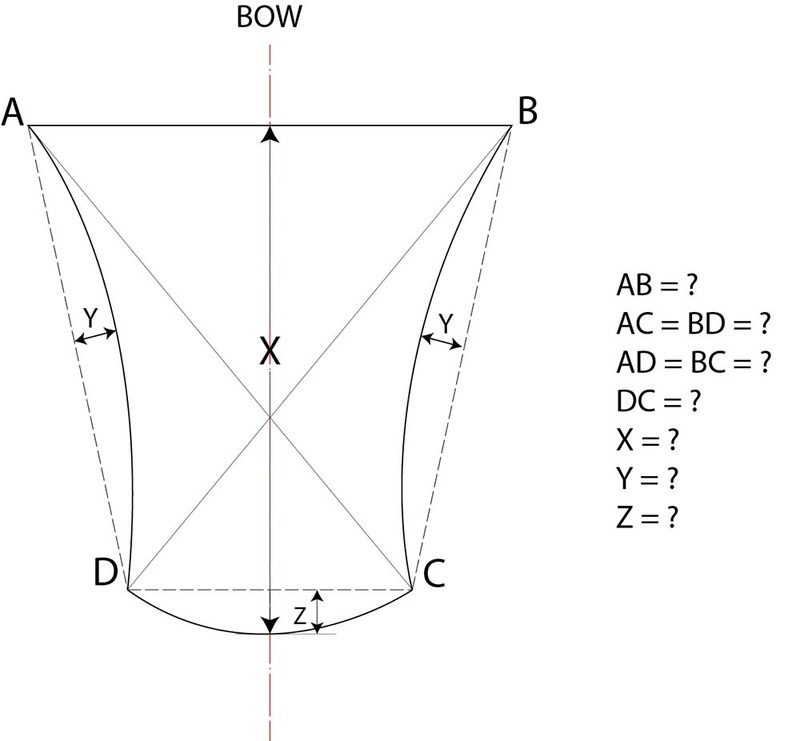 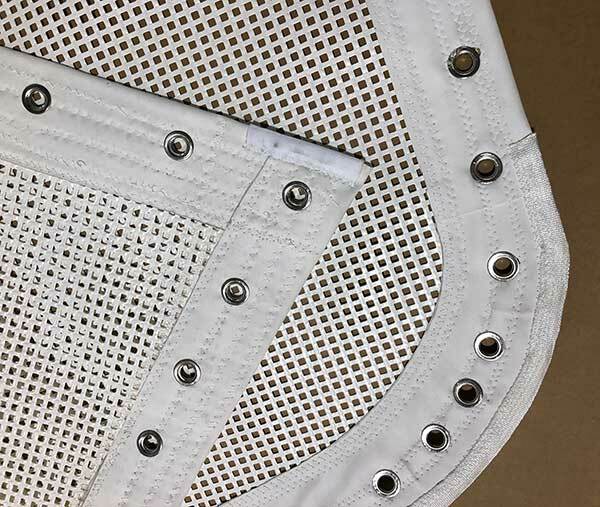 *The dimensions taken should be the dimensions of the hole, from edge to edge, as we take the stretch of the material into account when manufacturing. 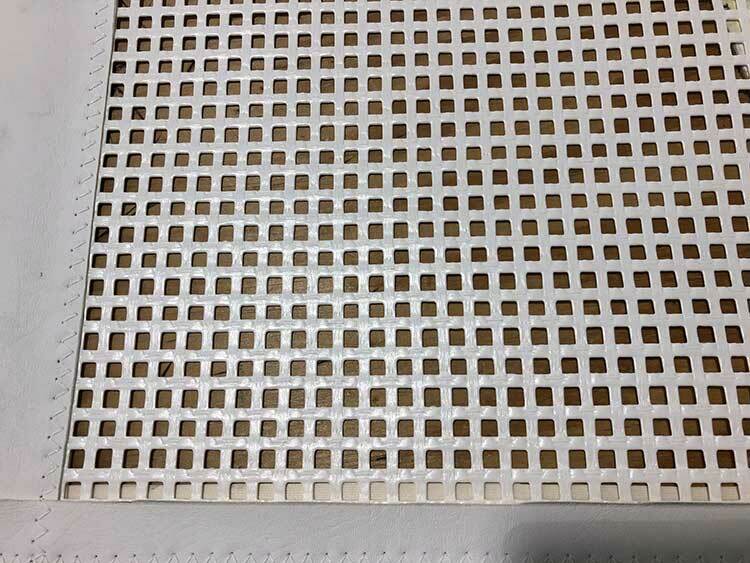 (even if your net is not a square or a rectangle, we have to use material of the largest width by the longest length to manufacture it). Leopard 39= $765.00 Leopard 43= $748.00 Leopard 44= $785.00 Leopard 47= $1030.00 Leopard 58= $1295.00. 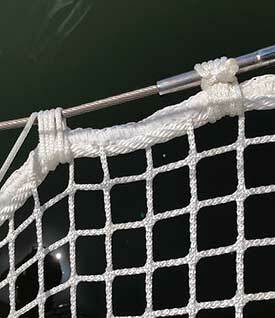 ATN now offers a pair of Main Side Nets for the Corsair / F27 in black polypropylene for $925.00. 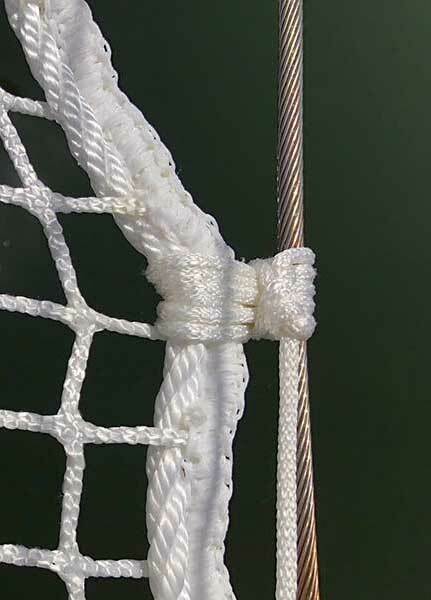 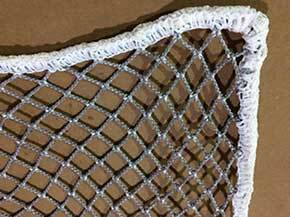 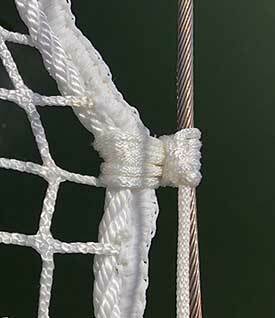 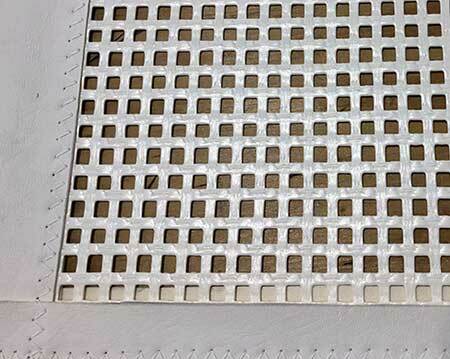 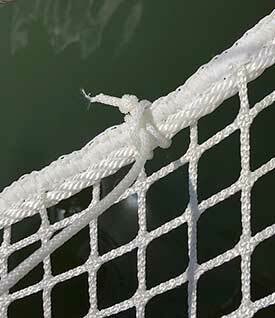 Longer durability than nets, sewed with Tenara / gore thread with SS grommets all around. 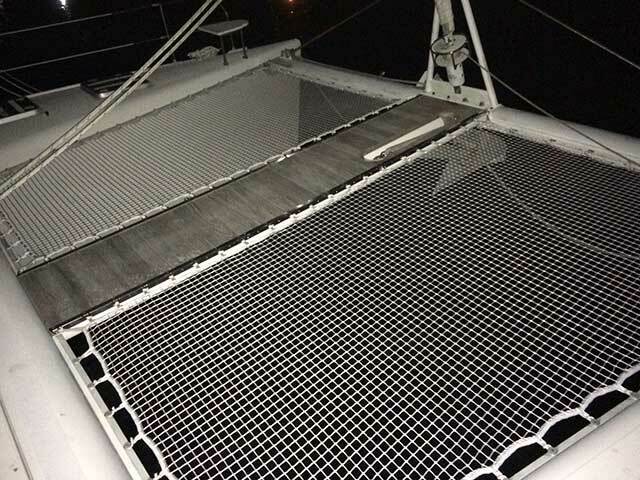 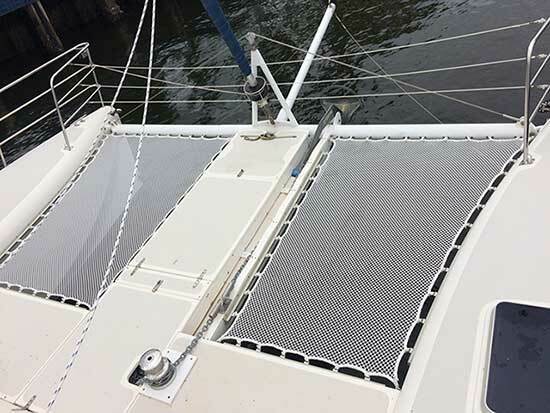 See a SuperTramp installation in the Multihull Nets Image Gallery below. 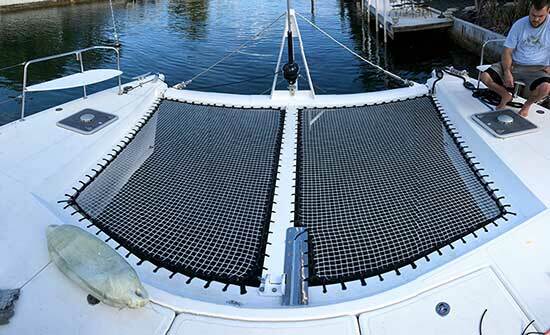 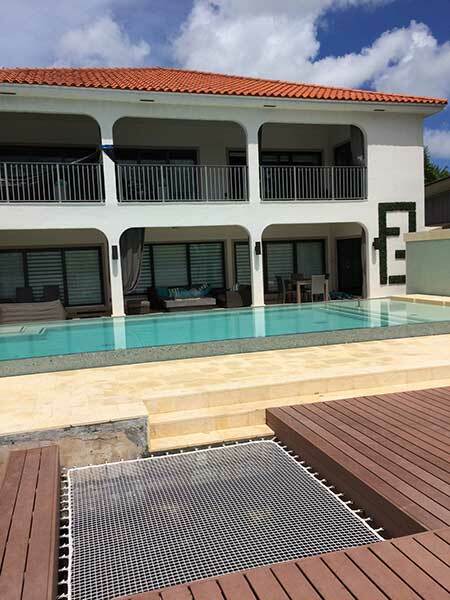 Ordered a 13mm multihull net (trampoline) for a Fountaine-Pajot Orana 44 from ATN. 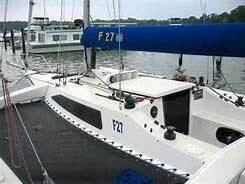 The prices are very reasonable and the owner knows his stuff! 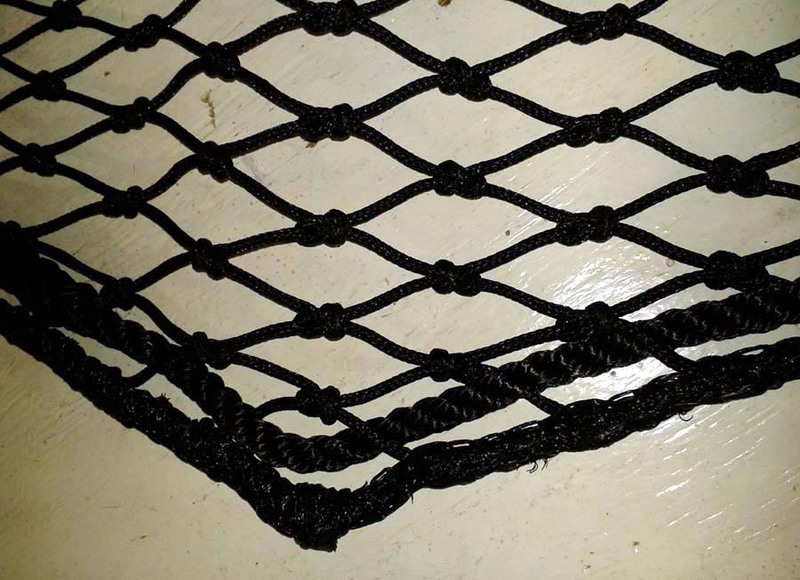 Will order from them again. 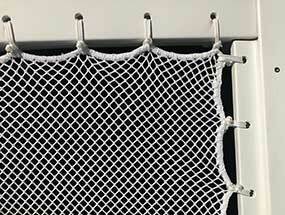 Hi Etienne, I finally installed the new Tramp Net. 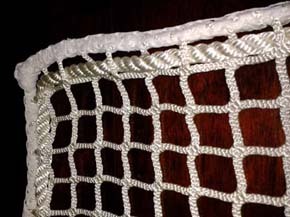 I'm quite pleased with the fit and finish. I'm a happy customer! from ALL AT SEA Magazine by Etienne Giroire.